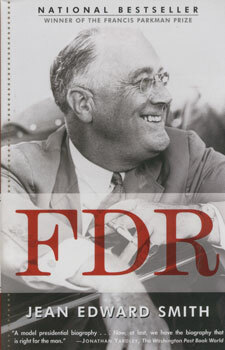 After taking a trip to sunny Warm Springs, GA I wanted to learn more about FDR. On the way through the Little White House gift shop I picked up this book. What a great history of FDR's economic policies before and during the Great Depression. Love his policies or hate his policies, you have to be amazed at the huge sea change FDR brought to the role of government in the economy. Also amazing is the speed at which government got things done back then. Some of the big New Deal policies were written and passed all in one day. These days it seems like our federal government takes months and months, and then some more months, just to get the most trivial legislation passed. Give it a read and I guarantee you will be better equipped to talk about the role of government in the economy with your students.